Now That We Know There’s a Maternal Mortality Crisis, How Can We Help Fix It? If you are outraged by the maternal health crisis—and you should be—where black women are dying disproportionately from preventable childbirth-related causes and mistreatment, here’s what you can do: Get Involved. There’s a movement happening across the country, and it’s being led by black women, many of whom are living and organizing in some of our highest maternal mortality and morbidity states and all of whom understand the “materno-toxic” environment that most black women live and grow up with in the United States. But what’s different today is that people are listening. The Black Mamas Matter Alliance and its partners understand that black women have solutions to the problems that we face. It stands with, supports and coalesces a talented interdisciplinary team of people providing direct care, policy development and review, research, advocacy and training. If any of those areas interest you, BMMA is a steady resource for information and connection. Traditional thinking about health disparities (differences in health outcomes and higher rates of disease among people of color) tends to either blame the victim or the community they live in. However, research now confirms what black and other marginalized people have known all along, that there is something systemically dangerous about the way we are treated in the U.S., and this includes our experiences within the healthcare system. In the midst of the ongoing assault on women’s reproductive rights, Rep. Alma Adams of North Carolina and Rep. Lauren Underwood of Illinois worked with BMMA to the launch the first ever Black Maternal Health Caucus to co-develop and promote policies that are well researched and culturally competent to improve Black maternal health. Black women have been catching babies in America for centuries, but the medicalization of birth changed that and displaced traditional black midwives and postpartum traditions. 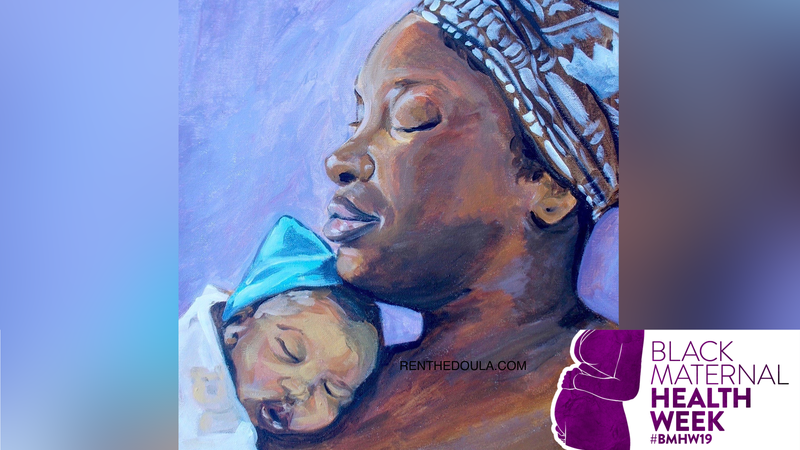 Likewise, in April 2019 during Black Maternal Health Week, Sen. Kamala Harris re-introduced a formal resolution to the Senate to bring national attention to the maternal mortality crisis in America. In August 2018, Sen. Harris introduced the Maternal CARE Act, a Senate bill that would require HHS to award grants for training to addresses implicit bias in obstetrics and gynecology. Sen. Harris’s work is part and parcel of the changing narrative Gay mentioned, and indeed these policies help to raise awareness among lawmakers and the general public. When policy development is led by black women, the likelihood that black women’s safety and care will be centered in its words and execution are high. To learn more about black woman-centered care, start with this documentary. There are numerous risk factors that black women, regardless of cultural background, face when receiving healthcare and giving birth within a broken system. Racism is one of them. But are providers actively helping people to navigate risk factors, reach their reproductive goals, and understand their birthing options without judgement? And are some providers and the overall healthcare system a risk factor that’s been overlooked? Moms and potential parents, you have a right to good care, and to have kindness and cultural respect be a part of that care. For information on organizations working to center, advocate with and for black pregnant people, visit blackmamasmatter.org. There are options out there, and no one should make you feel like there aren’t. America ranks the worst out of all developed nations on maternal mortality, which is defined as death that occurs due to complications of pregnancy or childbirth within six weeks (or 42 days) of giving birth. Pregnancy-related death is when a woman dies during pregnancy or within one year after giving birth due to health problems related to pregnancy. As Gay said, you are part of the story. Now is the time to become part of the solution all year long. A list of which can be found on the Black Mama’s Matter Alliance website under “partners” or through doing your own research to support these organizations in your local community or the states experiencing the highest maternal mortality rates.